I love taking candid shots of kids–their faces can’t lie. You know when they’re happy or sad, tired or excited, bored or angry. We had positioned ourselves on the sidewalk along Main Street toward the end of the parade route. I wanted to be near the judges’ viewing stand because I knew that the marching bands and floats would be stopping to perform in front of the judges. By the time the parade got to where we were located, the participants had been marching or riding for about an hour, not including the time they spent getting organized before the parade even started. 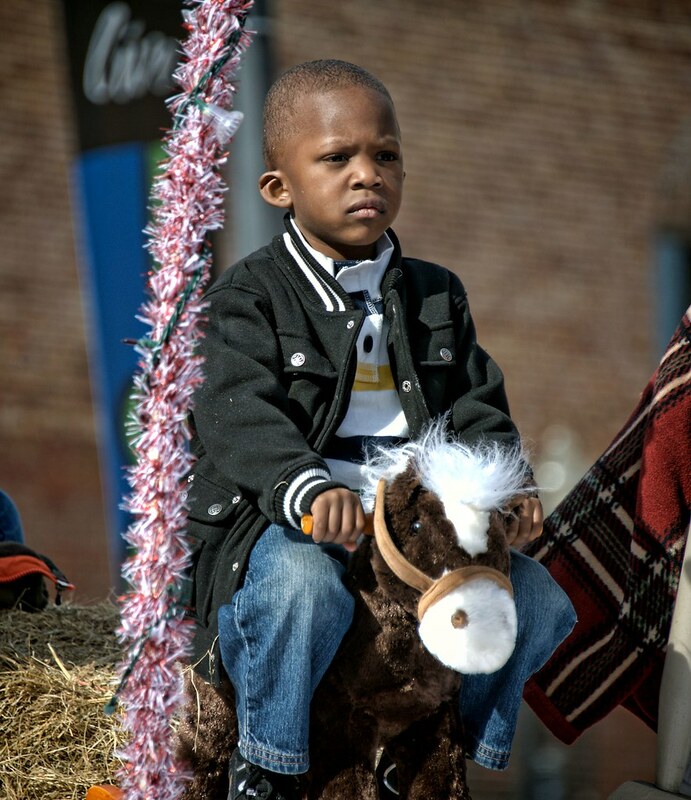 Little kids get tired and bored pretty quickly, and even though they’re in a parade, they haven’t yet learned that they’re supposed to “put on a happy face”. And that’s when you get the really good shots! 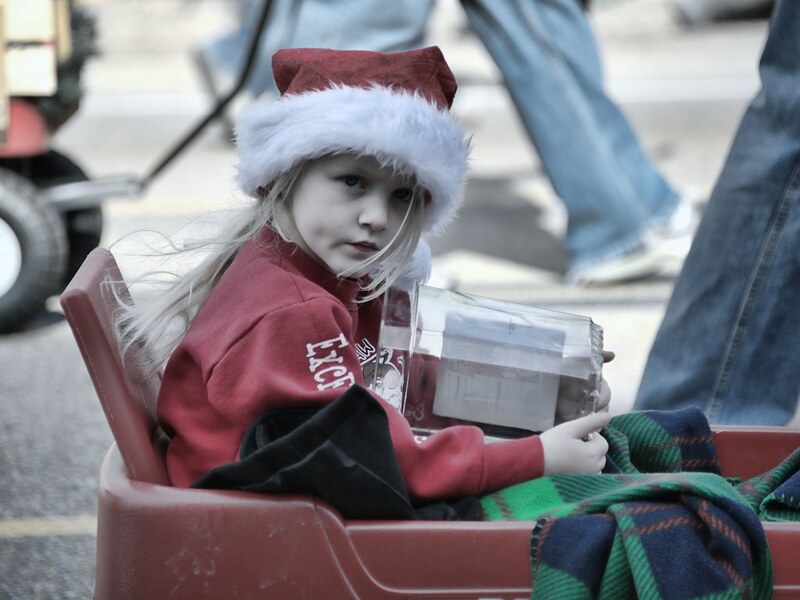 I have so many more images from the parade, but they’re pretty standard stuff….snapshot quality, mostly. But we had a great time, met some really nice people, and I’ve had plenty of images to use while getting acquainted with the new versions of Paintshop Photo Pro X4 and Topaz Adjust 5. This entry was posted in Processing, Shooting and tagged 28-300mm, Christmas, D700, Nikon, parade, photography, software, Tupelo. Bookmark the permalink.